2018 is quickly approaching and with it will come a slew of new video game titles to look forward to playing. With that said, now’s a good time to start marking down what video games to keep an eye on when they officially launch next year. Let us lend a hand, in this list, in particular, we’re going over the top simulation video games launching in 2018. Farming simulators have been popular over the years both from titles such as the Harvest Moon franchise to the upcoming Pure Farming series installment. These video games prove that gamers love the idea of running and maintain their own farmlands. Pure Farming 2018 brings gamers a more realistic look at running a farm. Players will be looking over the livestock, orchards, greenhouses, field cultivation, green energy, along with the latest tech for handling modern farming. 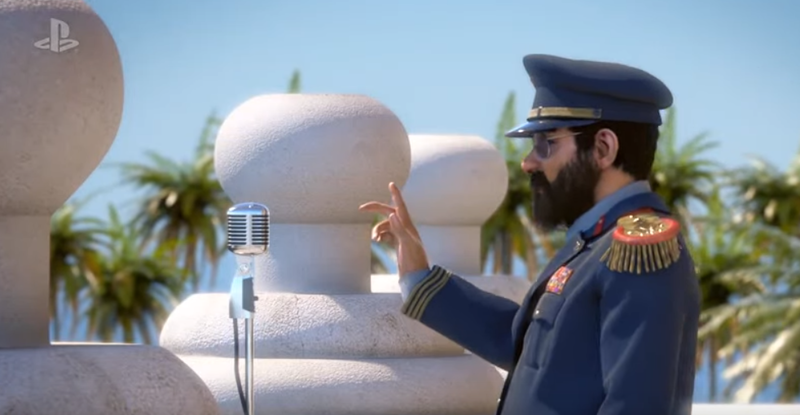 The Tropico series is well-known with the sixth main installment launching at some point this year. Players will handle the role of a political president that must bring his country through the hard times it’s currently in. With social unrest and a turmoil over the political outlook, maintaining order and bringing the country together will bring players a challenging task as they attempt to win the citizen’s favor. While the series tends to do well in the market, there’s no specific release date attached to the game quite yet. Likewise, there hasn’t been any announcements made as to if we’ll see this game make its way onto the Nintendo Switch platform. Within Surviving Mars players will be on the cold red planet where their sole goal is to manage and oversee the colonization of the new world. Of course, there will be some challenges that will come up giving players some tough obstacles to pass through. This is a city-builder type game as well where players will have to build up their colony and gather resources to maintain their colonization. As a result, the game will have a bit of a strategy element to the gameplay. If you enjoy building up parks and attractions while managing the business side of things then you’ll want to keep tabs on Jurassic World Evolution. The video game is being developed by Frontier Developments who has brought out such classics as the RollerCoaster Tycoon and Zoo Tycoon franchises. With this upcoming release, players are put in control of building their own Jurassic Park where you’ll manage the design while managing the business when it comes to bringing guests back to the Jurassic age. Likewise, there will be a section based around developing new creatures, similar to the story of Jurassic World. Unfortunately, if you enjoy the more in-depth city building and managing titles put out into the market then you might find this game to be a bit disappointing but on the flip side, if you find some of the more popular city builder and simulation games to be too overwhelming then we suggest giving this game a try. Anno is a classic video game series that started up back in 1998. This is a real-time strategy franchise with a focus on business simulation and city building. With the upcoming installment, Anno 1800, players are put right into the dawn of the industrial age. You control the world, are you an oppressor or liberator, how do you see the world forming up and where will technology evolve? Your quest to build an empire within the time period is completely under your control. Railway Empire is all about transportation using the railway network. Players will have control of the 40 different trains with the ability to build a railway station and maintenance buildings. Likewise, the game will allow complete control of railway services, but the competition will be thick. Gamers will need to go against rival railway services which may mean keeping up with the technologies that surround railroads to using various tactics to help attack your opponents business. From the developers who delivered This War of Mine to the masses in 2014 comes their next title release, Frostpunk. If you’re familiar with This War of Mine, you’ll find that Frostpunk shares some strong similarities, one of which is toying with the player’s moral compass. Within the game, players are left having to control a city of civilians who is seeking refuge from the harsh cold temperatures within the world. Being one of the few cities built around a heat source, players will have to strategize on how to handle various issues that may come up. The game will force players to seek out resources and build up the city. However, gameplay will soon become a balancing act when it comes to pulling resources together in order to fight off problems that may affect the health and safety of the city inhabitants. Kerbal Space Program puts players in control of a space program where your sole purpose and duty is to create functional ships for a crew of Kerbals. With a collection of parts that will play an effect through the build of a spacecraft, players will learn how to successfully develop a spacecraft capable of going into space and landing back down to Earth. There are a few game modes within the title that are worth trying out. Not only is there a sandbox mode that will give players the ability to be creative while building a trip to conduct trials and errors on but also modes that will give players objectives while traveling through space. With a realistic physics engine, crafting a spacecraft can be a challenge. Each part will need to be carefully placed which may mean playing around with your crafts for quite some time until they are fully ready for action. Bethesda surprised plenty of gamers when they unveiled Fallout Shelter. The video game was completely free for mobile market initially, though now the video game title has slowly found its way on various other platforms. Within Fallout Shelter, players take control of a custom vault. As the overseer of the vault, it’s up to you on placing new rooms, adding additional dwellers, maintaining resources, and ordering members to venture out into the wasteland for resources. Players can also manage the daily lives of the dwellers such as assigning them jobs that will help the greater good of the vault. While gamers have been playing the title since 2015 for iOS and Android, Fallout Shelter has slowly been releasing on other platforms with PlayStation 4 and Nintendo Switch being the latest to receive a port. Overcooked 2 is a cooking simulator type video game where players take on the role of a chef who must prepare a variety of meals within the time limit. However, the game is filled with obstacles and hazards forcing players to quickly work together in order to send out the desired meal recipes that come up. The gameplay is very much the same as the first Overcooked installment but just with new themes, costumes and recipes to create. If you’re looking for a fun wacky game to enjoy that features cooperative gameplay and suitable for a younger audience then you won’t go wrong with Overcooked 2.